Our present, still fragmentary knowledge of teratogens and teratogenesis is based on studies following two major methodologic lines, non-experimental, epidemiologic studies, and experimental, in vivo investigations. Both approaches are hampered by many limitations and shortcomings, the most obvious in the epidemiologic studies being the complicated study situation and the great number of confounding factors (Saxén, 1974), whereas the greatest difficulty in animal experiments is the inapplicability of the results to other species, including human embryos (Fraser, 1964). Hence, we need to explore alternative and complementary methods for testing various substances for teratogenicity and for studying the mechanisms of abnormal development. Tissue culture has now been used for decades in many fields of biomedical research and has proved a most valuable tool in the hands of skillful, critical scientists. 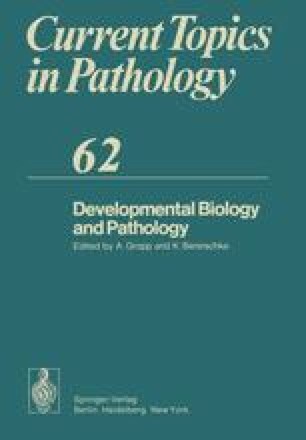 In teratology, the method may also eliminate some of the difficulties and shortcomings of epidemiological and in vivo studies, but so far it has found only a limited number of applications in this field. Cell culture methods have recently become indispensable in diagnostic teratology but their use in basic studies is difficult. Here organ culture, which allows good differentiation, morphogenesis, and often functional maturation of embryonic tissues in vitro, might prove more useful.